Hi there! 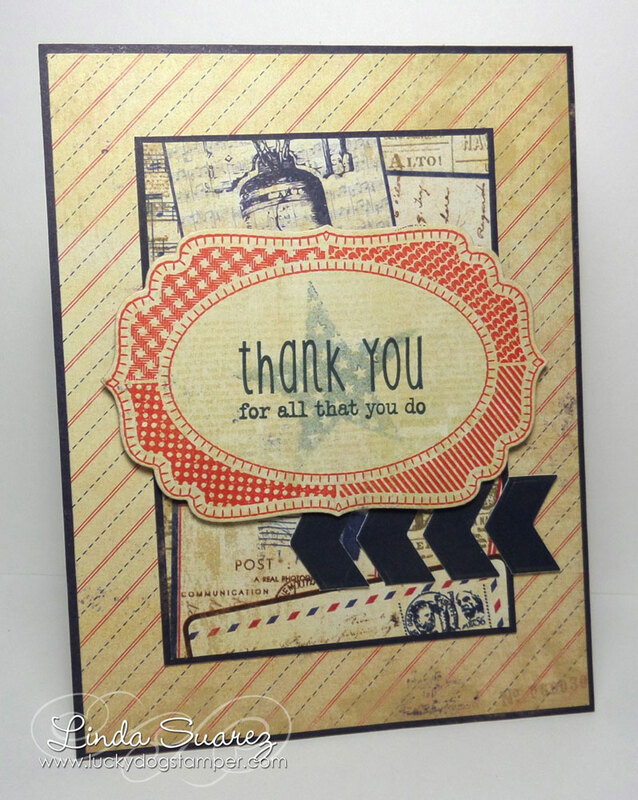 I have a quick post today with a card that I started earlier this week and just finished. 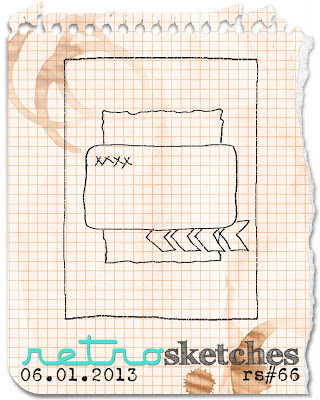 I used this week's RetroSketch and am getting it posted and submitted just under the wire. 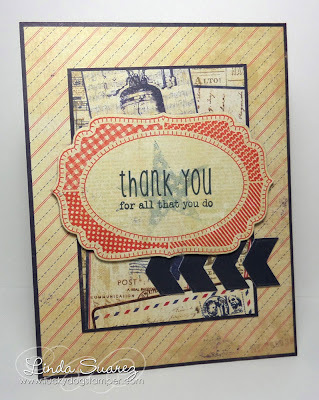 I love the new labels stamps from Waltzingmouse! This is a vintage masterpiece, Linda! You got it in under the wire and earned yourself a shoutout from retrosketches! Congratulations! !